Michael Craig serves as the chief operating officer of Mercy Health – St. Vincent Medical Center and Mercy Health – Perrysburg Medical Center, where he’s increased employment engagement from the 54th percentile to the 81st percentile over a two-year period; implemented strategies to promote growth by 30%; and led St. Vincent Medical Center from a two-star to four-star rating by the Centers for Medicare & Medicaid Services (CMS). Craig, a 10-year veteran of the Air Force where he was awarded various medals and served in the Iraq War, has also led St. Vincent and Perrysburg to Melvin Creeley Environmental Leadership awards for energy efficiency and sustainability. Craig joined the Air Force and was stationed at the 180th Fighter Wing in Toledo where he earned his undergraduate and MBA from UT. 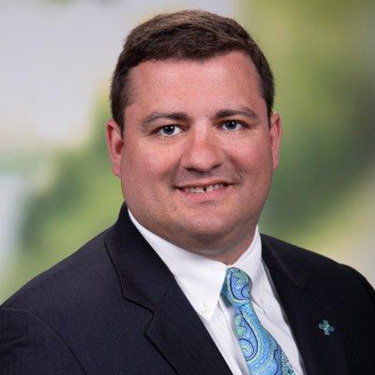 He serves the community as a board member for East Toledo Family Center as treasurer and as an active member of the American College of Healthcare Executives, as well as being an executive leader for the 2018 Heart Walk.